I am sure everyone who reads this blog knows that I love La Roche Posay products particularly the Effaclar range which I am a huge fan of. Another range from La Roche Posay which I love is the Toleriane range (review here) because it is just so soothing and calming. 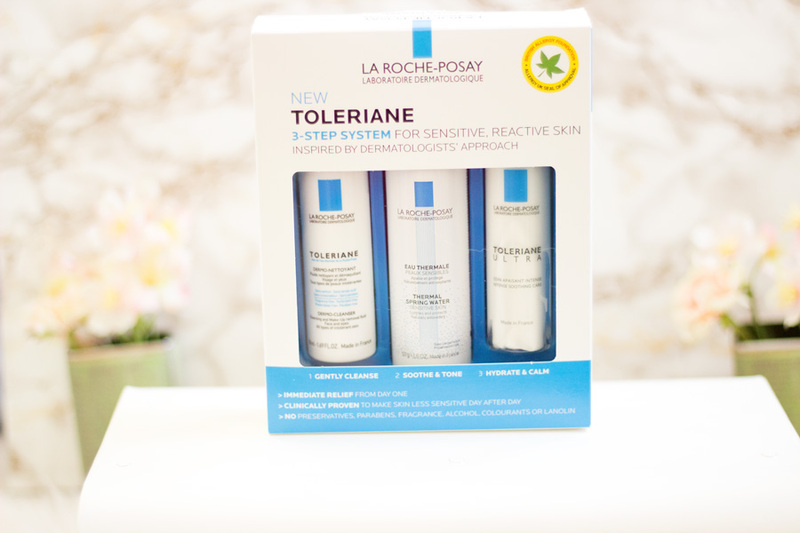 The lovely folks at La Roche Posay challenged me to use the Toleriane range (in the recently launched 3- Step System Toleriane Kit) exclusively for a short period. 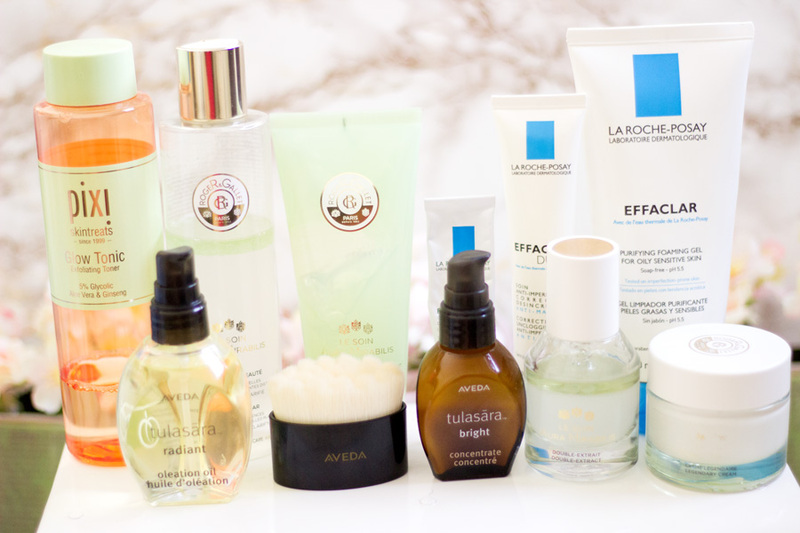 I am a huge fan of using one brand skincare products and I feel my skin is better for it but most times, I just use my favourite products from each brands. I loved this challenge because I was curious to see how my skin would fare with only 3 main skincare products. 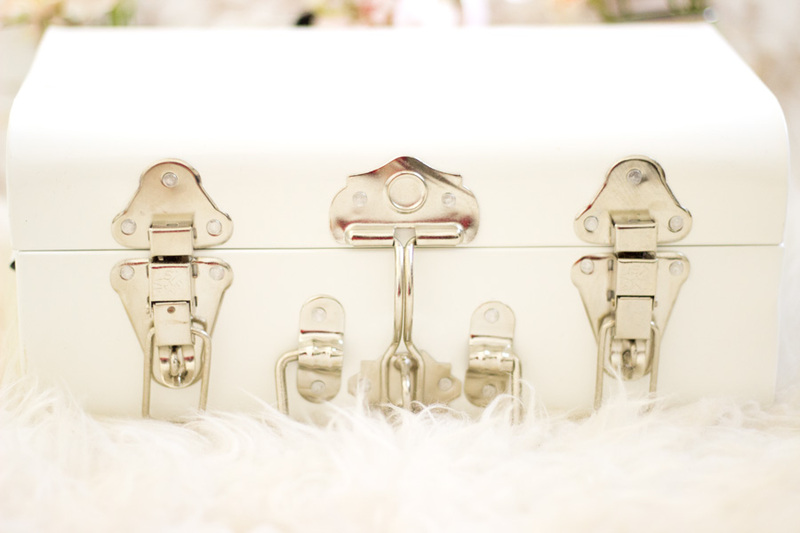 I was sent the Toleriane 3-Step System Kit and a beautiful white box which reminds me of small trunk box. The idea of the challenge was to put all my other skincare products in the white box and focus on using just the Toleriane range. 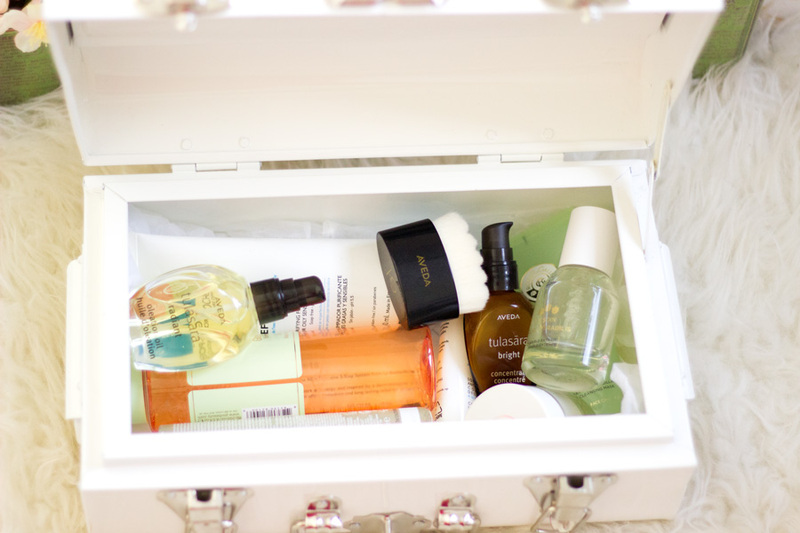 I actually kept stored all my current skincare products away so I could not be tempted to reach for them. La Roche Posay products are all well packaged and I love their white and blue colour theme which is seen across their entire brand. 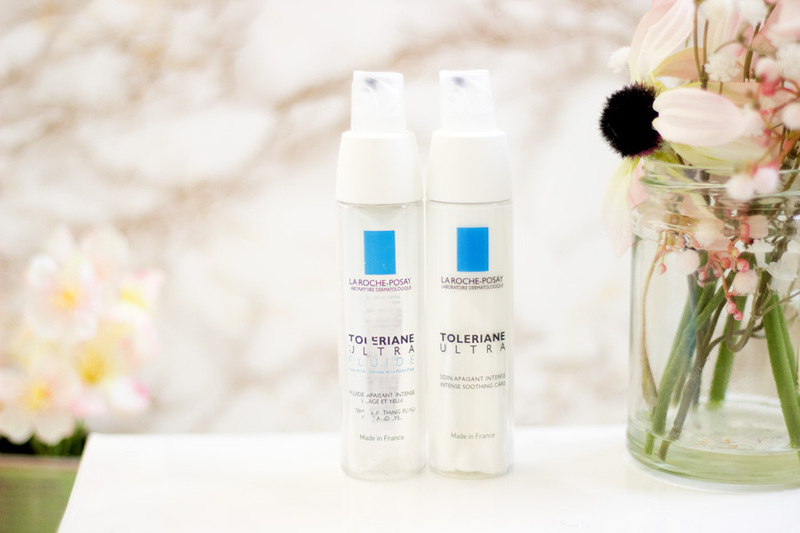 The Toleriane range has quite a few products and I have previously tried a few (which you can read about here). 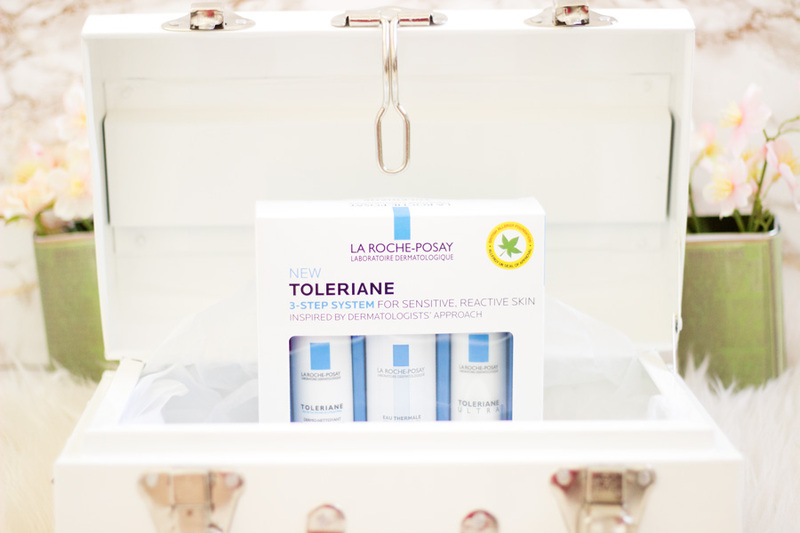 I was really pleased that La Roche Posay launched a Toleriane 3- Step System Kit as it gives people a chance to try the entire range before buying the full size products. 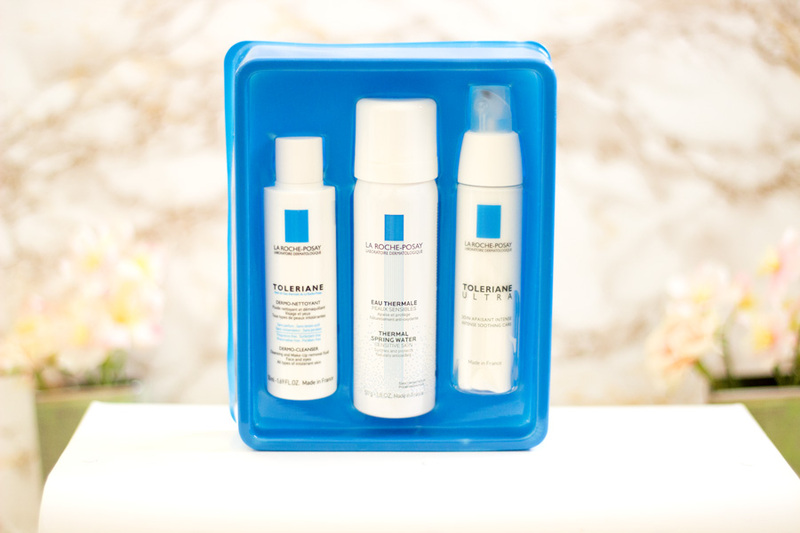 The Toleriane Kit contains three products which include the Toleriane Dermo Cleanser (50ml), Thermal Spring Water (50 ml) and the Toleriane Ultra Intense Soothing Care (40 ml). The Dermo Cleanser and the Thermal Spring Water come as minis in the kit but the Toleriane Ultra is the full size (40 ml) and it works out as a bargain. I have written about the unique packaging of the Toleriane Ultra here which you can check out as the packaging is quite innovative and prevents cross contamination of the product. I can't believe I have actually never tried the Dermo Cleanser as it's a really good makeup remover. It is designed for anyone who has dry, intolerant or sensitive skin as it contains the La Roche Posay Thermal Spring Water and Glycerin. It can be used to remove makeup and any other impurities that may have accumulated on the skin during the course of the day. I don't have dry skin but now that it is A/W, my skin has become quite dry so the Dermo Cleanser was very welcome in my skincare routine. It is essentially a cleansing milk which is pretty good at taking off my makeup including eye makeup. I use about 2-3 Cotton Pads to completely remove my makeup with the Dermo Cleanser. I really like how it effectively removes my eye makeup as it is very gentle and does not irritate my eyes. It'salso quite soothing on my skin especially when I broke out on my cheeks. It feels silky while using but it does not sit in a greasy way on the skin. I just really enjoyed using it and I'd definitely look into buying the full size as it's really affordable (also on offer for £8.25 in Boots). I wish it had a pump as that would make a massive difference in getting the product out as it was not the easiest to do.Overall, I think the Dermo Cleanser is such a lovely makeup remover and I will continue using it especially this season. I always do a double cleanse so the Dermo Cleanser was my first cleanse/makeup remover. 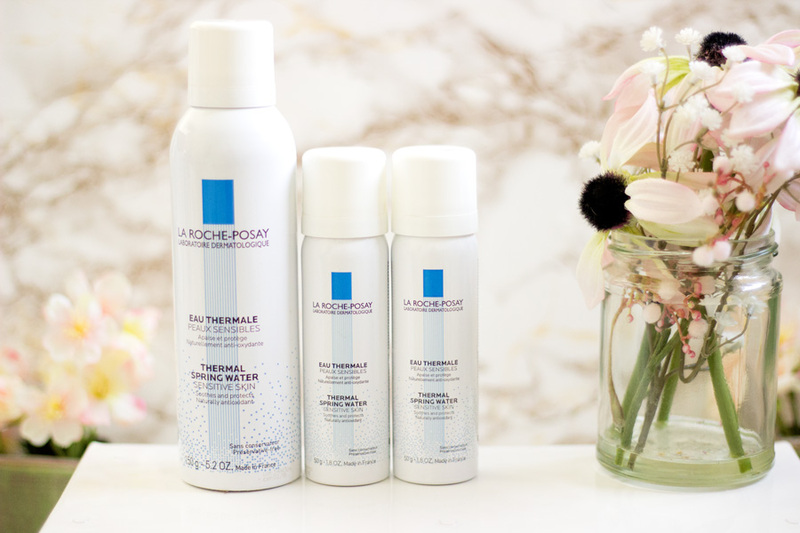 I am no stranger to the La Roche Posay Thermal Spring Water and I have repurchased it a couple of times. It is essentially La Roche Posay Thermal Spring Water in a cute little can. It's usually my favourite spritz for refreshing my face during summer. I don't think I reach for it usually during Autumn or when the weather gets colder so doing this challenge meant I used it during this season. It's the step 2 in the Toleriane Kit and I enjoyed using it because it just felt very easy to use (although a little cold on my face). I am used to grabbing my favourite toner and a cotton pad so using just a spritz made me initially feel like I was missing out one step of my skincare. However, by the third day, I was totally into it and it truly made my skincare routine easier and faster. It's also really gentle on the skin and using it as a toner has actually helped rejuvenate my skin. It's just like giving my skin a good drink of water and I noticed my skin felt more hydrated than it usually is. It helps balance out the skin's PH which may change after cleansing so that's an added benefit of using this as a toner. It also contains Selenium which a antioxidant known for alleviating itching and discomfort. 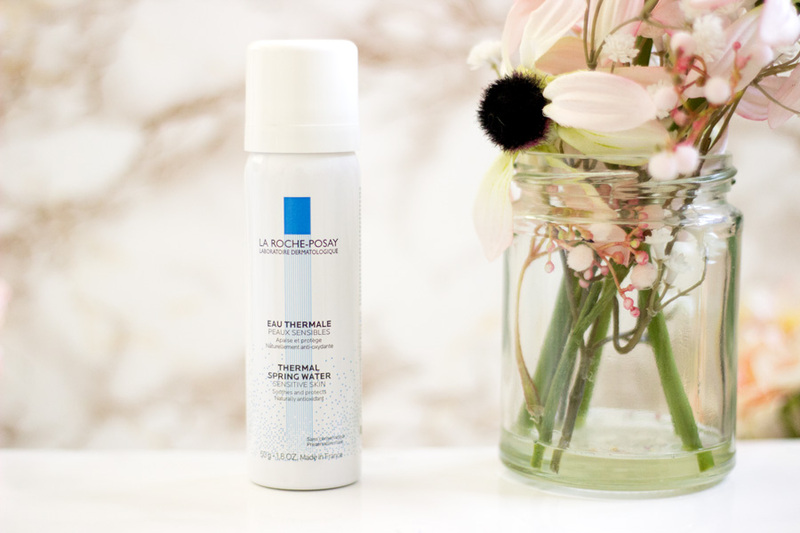 If you are after a hydrating toner and you have sensitive skin which does not agree with other toners, the La Roche Posay Thermal Spring Water is a good one to try. I have the big size permanently in my bathroom and the mini on my dressing table. 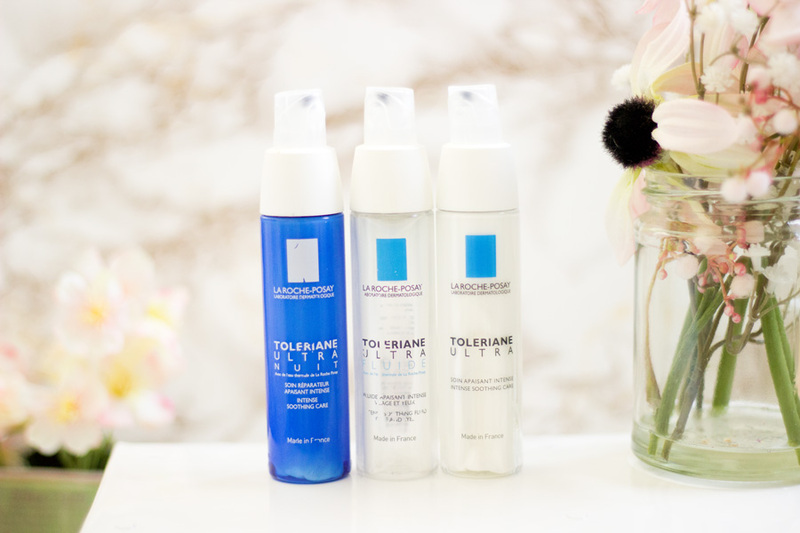 Again, I am no stranger to the Toleriane Ultra skincare products and I actually recently reviewed them. I was actually really pleased to get a back up of the Toleriane Ultra in my stash because my previous one was running super low. I actually thought the Toleriane Ultra Fluide and the Toleriane Ultra were the same product but it turns out that they are not. 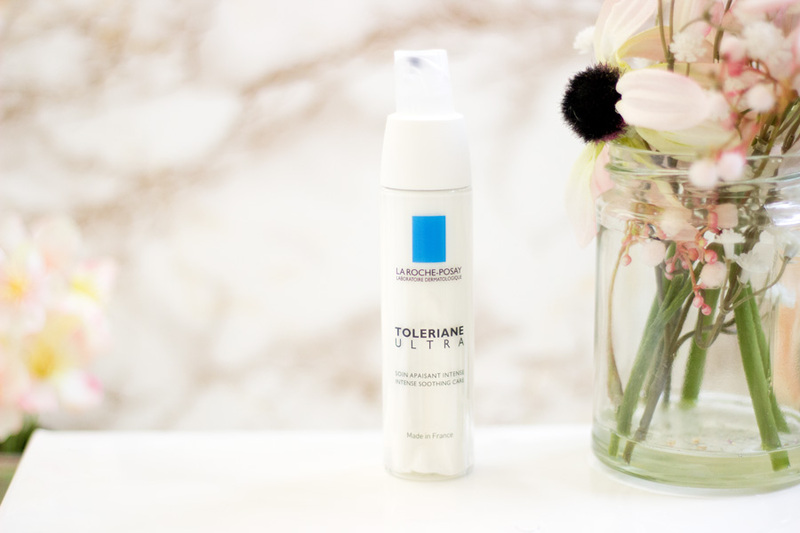 As the name suggests the Toleriane Ultra Fluide has a lighter (almost like water) texture while the Toleriane Ultra has a bit more texture to it. I was just surprised that they were different but I absolutely love it. I think now the Ultra Fluide will be my Spring/Summer pick and the Toleriane Ultra is perfect for Autumn/Winter. The Toleriane Ultra is a daily moisturiser which is step 3 of the Toleriane regime. It is also formulated with the La Roche Posay Thermal Spring water, Glycerin, Shea Butter and Neurosensine (an anti-inflammatory clinically proven to reduce skin reactivity to discomfort). It also does not contain preservatives, parabens, alcohol, fragrance, colourants or lanolin. 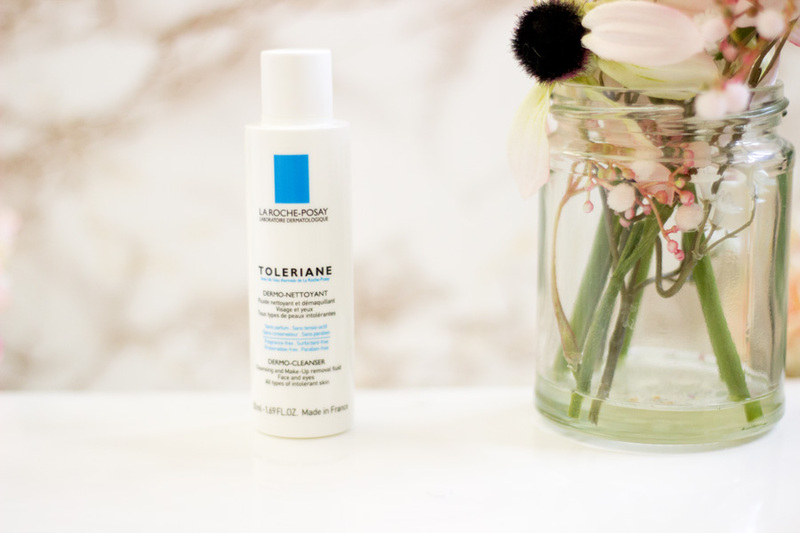 The Toleriane Ultra has a slightly rich texture which I have been enjoying as my skin usually gets dry during the colder season. Although it has a slightly rich texture, it sinks into my skin but I can still feel its hydrating and nourishing power. It does not feel greasy or interfere with my makeup which I am very pleased about. I also used it at night and I have to say I enjoyed it even more at night because my skin felt hydrated. I 'd definitely recommend trying this out and I feel many skin types would love this especially dry and sensitive skin types. How did I feel about the Toleriane Kit Challenge? I really loved doing this challenge and I loved the effort La Roche Posay and their PR put into it. 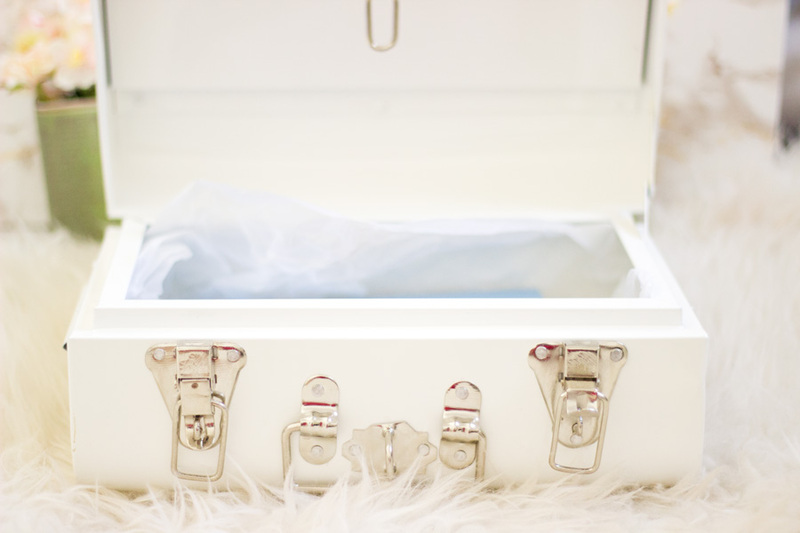 The idea of the gorgeous white box to store my other skincare products was spot on. At first, I thought I could surely not take care of my skin with only 3 products (I did use a separate cleanser and sunscreen but I kept them in the La Roche Posay family). However, I did the challenge till the very end. 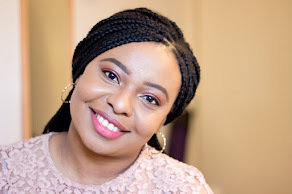 I have quite a lot of skincare products and am constantly testing new products as a blogger so doing this challenge made me learn more about my skin. One of the things I noticed is that sometimes my skin needs some down time by me using less products and I loved how refreshingly easy it was to stick to a minimal routine. It also meant my skin took a break from all the acids I use to get rid of my hyper pigmentation (Salicylic Acid, Lactic Acid and Glycolic Acid). While my hyper pigmentation were not fading because the Toleriane range is not designed for that, I did enjoy the texture of my skin. I really enjoyed this challenge and I think I would go back to it every now and again as a way reset my skin and give it a rest. 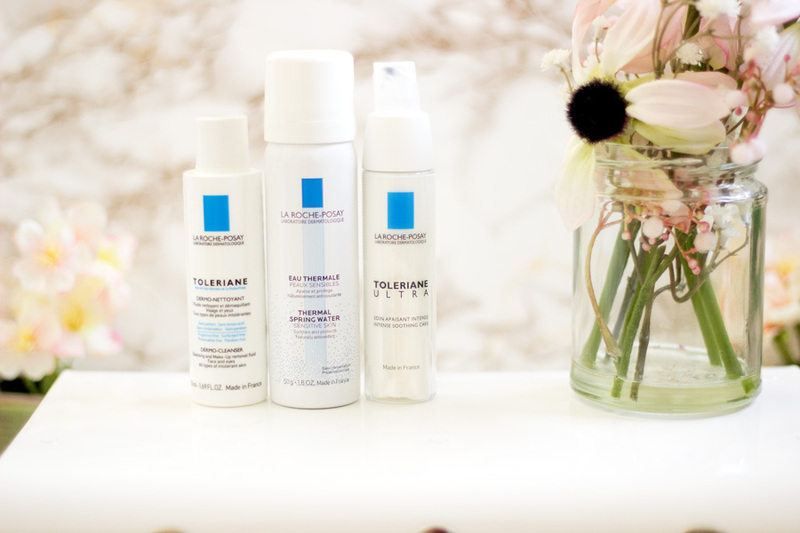 You can purchase the Toleriane range from various retailers who constantly have discounts including DermaCenter, Boots, Escentual, etc. However, the Toleriane 3-Step System Kit is exclusive to Boots and it is currently on offer for £16.87 so this is a good time to purchase it. That's pretty much all from me today. 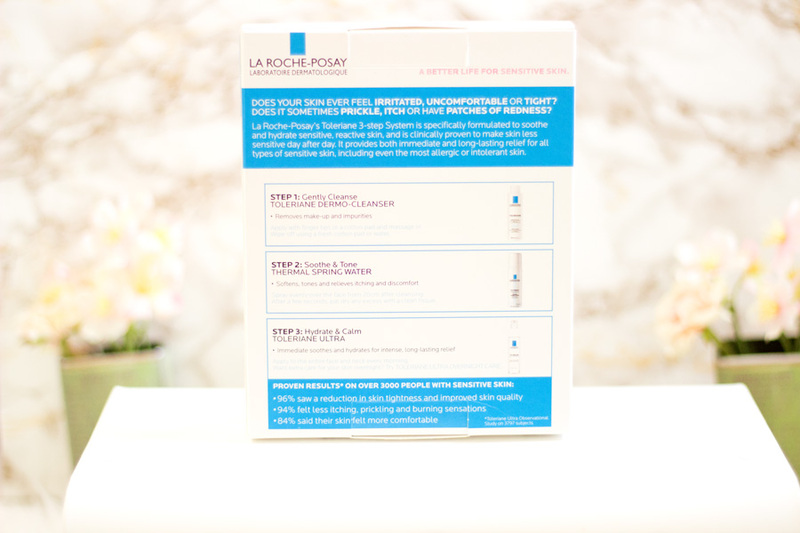 Have you tried the La Roche Posay Toleriane Kit? * PR Sample + Affiliate link, read my full disclaimer here. I need this kit! La Roche-Posay is one of my favourite skincare brands along with Vichy. This kit sounds perfect.